In today’s world, travelling for pleasure has become incredibly popular and prominent. Whether it’s a school-leaver’s overseas gap year or an office worker’s annual escape, we are travelling more than ever. With all this travel, making a holiday memorable can become a challenge. Airbnb and other international rental sites offer travellers a unique and affordable holiday that departs from the ordinary. Instead of photographing your holiday, truly experience it in a location or dwelling which you may have never even considered before. 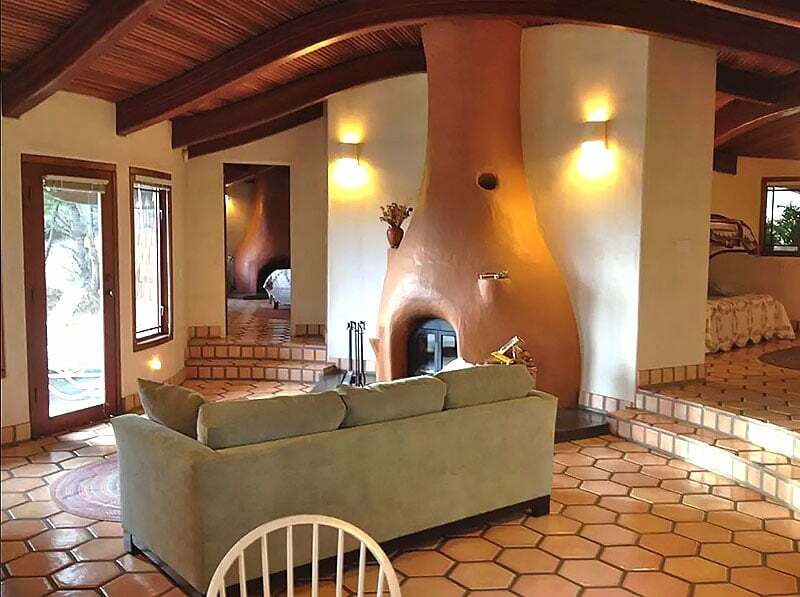 We have scoured Airbnb to find the most quirky, and unique stays in the USA. Always fancied staying on a boat but don’t have your sea legs yet? No problem. This dreamy boat house sits firmly on land just a block from the beach and offers a unique stay in a one bedroom one bathroom apartment. 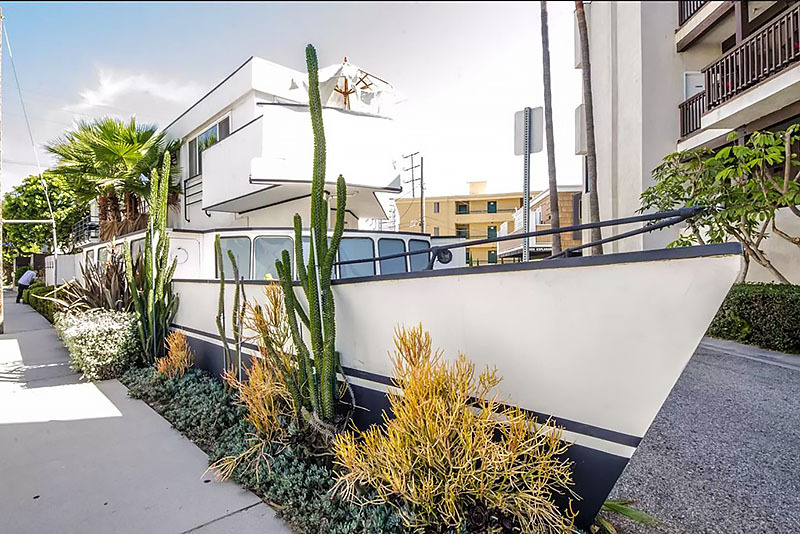 Located in the prestigious Marina Del Rey Peninsula, California, a stay in this apartment will give you all the charm of a real houseboat with the luxury of modern comforts. 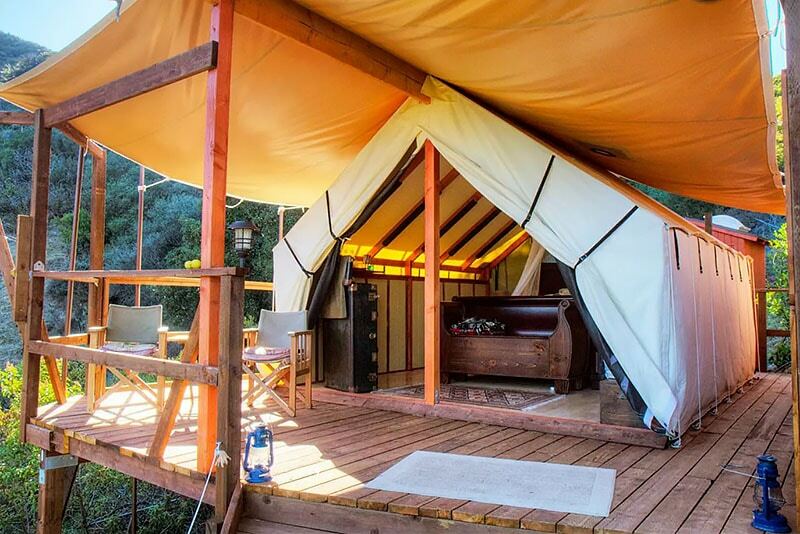 Take glamping to the next level and enjoy a stay in this chic, safari-style tent located in Malibu, California. Nestled into a canyon, this property offers gorgeous panoramic views just outside its canvas walls. Take in the pure nature whilst enjoying the modern comforts of an ensuite bathroom and solar heated shower. Secluded and romantic, this location will make for an unforgettable getaway. Experience your own Pirates of the Caribbean adventure in this tropical paradise. This incredible Californian guest house is surrounded by lush plant life and breathtaking outdoor spaces. 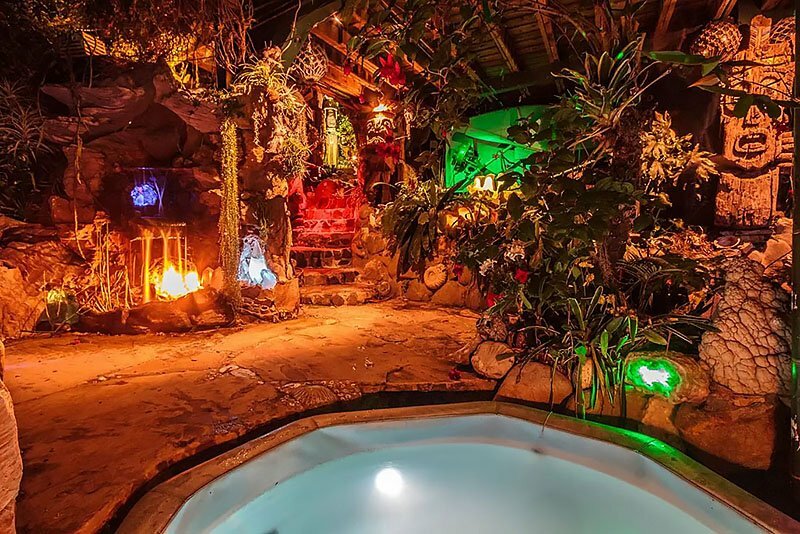 Reality blends with fantasy in this location which is complete with waterfalls, tiki torches, and hammocks. And if that’s not enough, relax in the serene setting while taking a bath in the outdoor, seashell-covered tub. 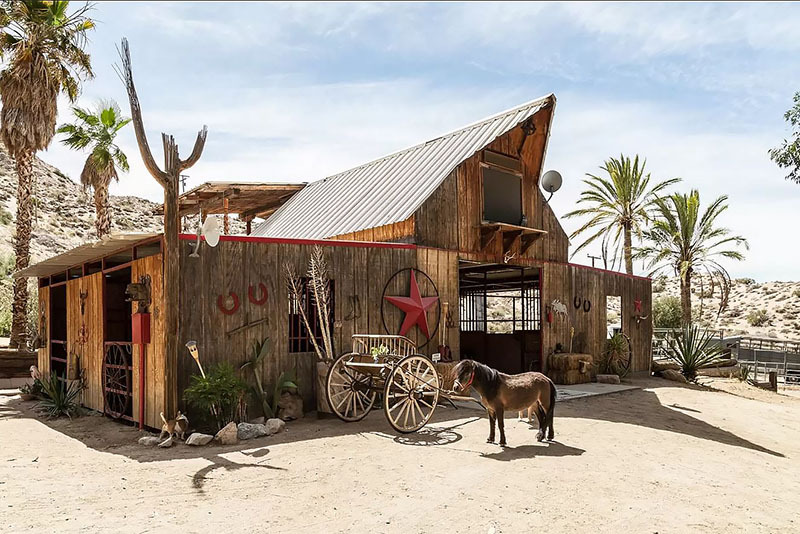 Looking for a real cowboy experience? 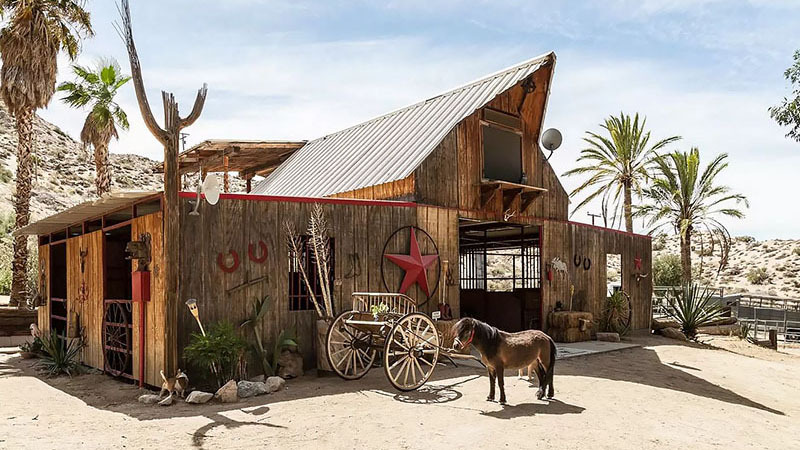 Book yourself and your partner into the “Love Nest” above the barn at the Genuine Draft Ranch in Morongo Valley, California. Just 20 minutes out of Palm Springs, this private room offers desert serenity and relaxation. Take a hike, see the animals, and gaze up at the stars from the comfort of your deck whilst visiting this memorable ranch. And don’t forget to grab a drink at the Draft Horse Saloon. Staying in a giant dog may not be something you’ve thought about before but it will definitely be something you never forget. This Beagle-shaped, one-unit inn will provide you not only with a comfortable stay but also with some great photos and memories. The unforgettable inn is one thing while the gorgeous surrounding prairie lands and mountains are another. 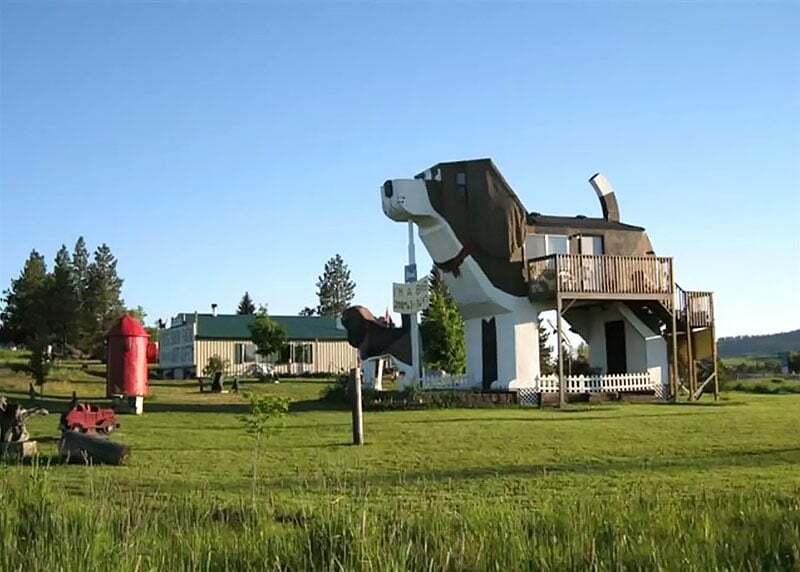 Located in rural Idaho, this one-of-a-kind stay makes being in the doghouse a good thing. Go off-grid with a stay in this industrial chic property. Say no to television and Wi-Fi and get back in touch with nature. Located in a pristine and remote valley in the California high desert, this house is the perfect refuge from the stresses of day-to-day life. Drink in the divine, sun-baked surroundings of this hidden paradise as you completely relax. Fitted with solar panels for energy and hot water, enjoy nature while being kind to it in this “green” house. 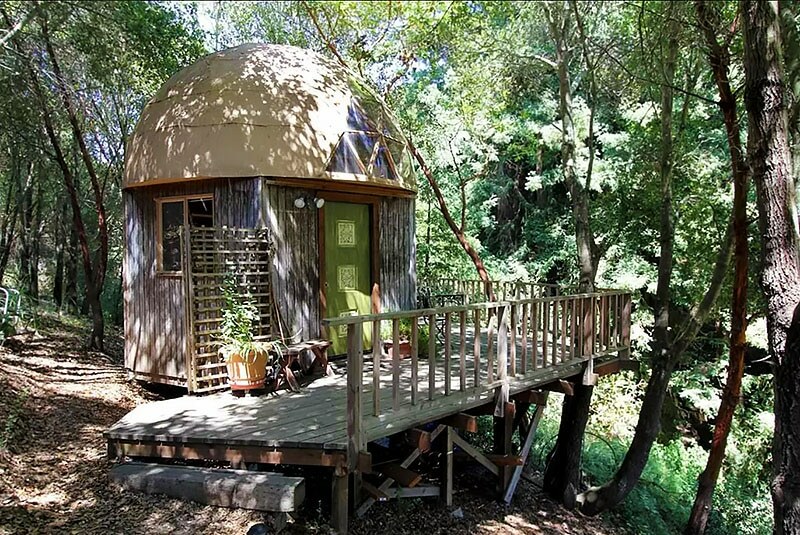 Staying in the Mushroom Dome Cabin is like staying in a cozy tree house in the woods. Surrounded by lush plant life, this rustic cabin offers a refreshing chance to get up close with nature. Spend your day hiking and watching hummingbirds before spending the night out on your deck under the stars. Although the inside of the cabin may not be as exciting as what’s outside, it still offers plenty of touches to make you smile. A queen-sized mattress, flat screen TV, and French coffee press will all make you feel right at home in this wild setting. This floating abode is the most stylish houseboat we’ve ever seen. With a beach feel and chic decorating, a stay here promises to be one you remember fondly. 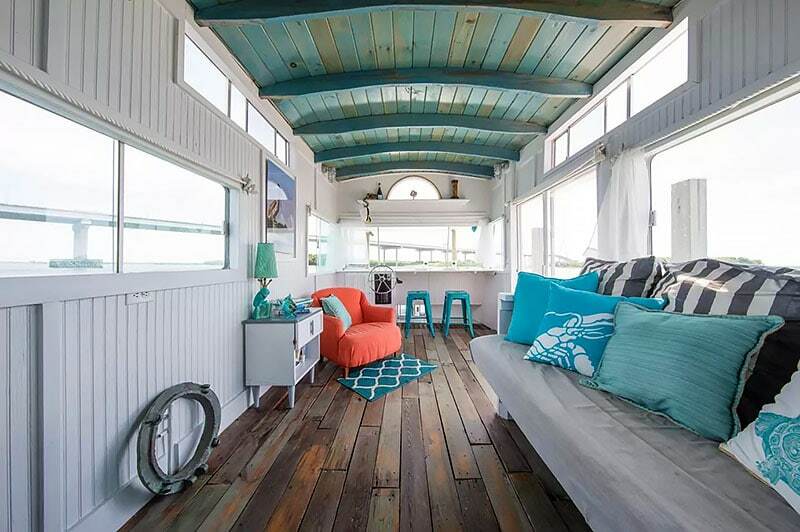 Located in South Carolina, this houseboat is docked in a quiet marina with gorgeous harbour views. Fully refurbished and offering all the comforts of a small apartment, book this property for a relaxed and intimate holiday. This lust-worthy Chelsea loft will have you dreaming of the high life with its private elevator and view of Madison Square Garden. Offering an unforgettable New York experience, you’d be crazy not to want to book this place. With 2000 sq ft of space decked out with super stylish decor, this luxury apartment is sure to make for a good stay. 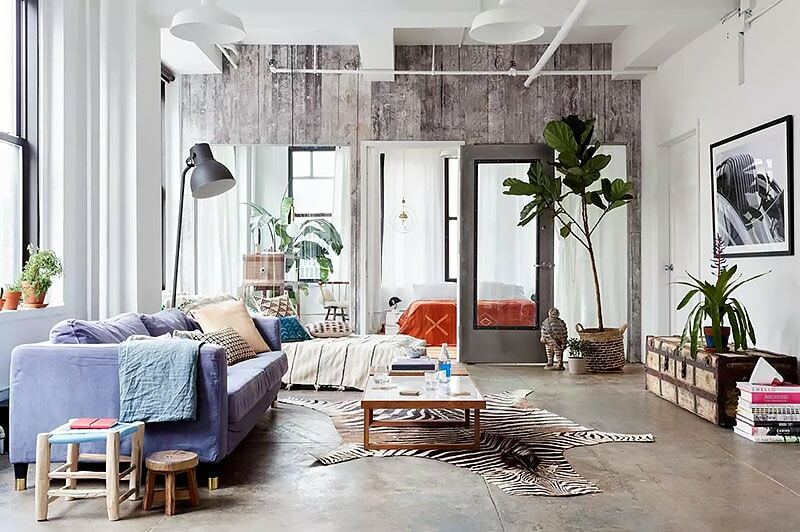 And when you’re not living it up in this amazing loft, go for a stroll down the road to Time Square or Central Park. Located on the Mendocino Coast, California, this seaside house offers unique architecture and tranquil living. The Cetusaurus can accommodate five people and boasts ocean views from the living room, kitchen and master bedroom. This rustic property is set in a quiet location and is the perfect place to unwind from your busy life. Relax in the tub or cosy up by the fireplace as you enjoy the soothing effect of this house.